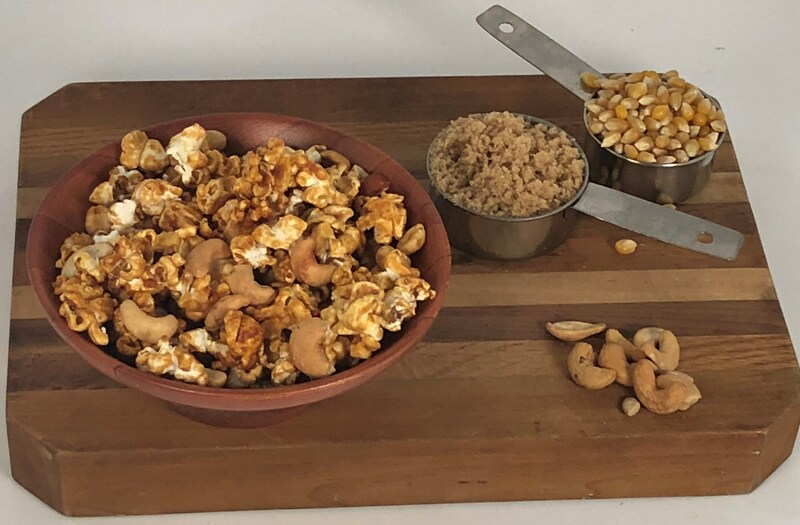 Fresh popped craveably delicious popcorn is tossed with a homemade caramel, cashews and then baked to make it a crispy sensation. We bake the flavor right in . The baking process pumps up this amazing caramel cashew flavor making it truly over the top. This will remind you of your childhood and when you had it at your “Nana’s” house. This order is for a Medium 4 oz (1/4 pound) bag of amazing Baked Cashew Caramel Popcorn. Thank you for shopping Nana's , we enjoy serving you. Follow and like us on facebook for a 10% discount. Facebook.com/nanasgourmetgoodies Just like us if you haven't already, then apply code 10facebook at check out. *This is delicious and the absolute best popcorn we ever ate - devoured...it was gone so fast. *Completely delicious. Couldn't be happier. *The cashew popcorn is so delicious. Great packaging and fast delivery. Very generous portions in the popcorn bags. *The grandkids loved the popcorn and customer service couldn't have been better - thanks! *Really good and fast shipping Thank you! *Popcorn was great. We ate most of it the first day. Love the nuts mixed with the corn.